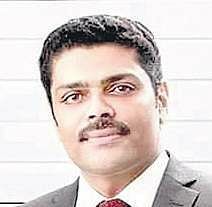 Joemon Joseph Edathala, 43, Honorary Consul General of Sri Lanka in Kerala, died here on Friday. KOCHI: Joemon Joseph Edathala, 43, Honorary Consul General of Sri Lanka in Kerala, died here on Friday. He was under treatment at a private hospital here after he suffered a cerebral haemorrhage two weeks ago. A native of Edathala near Kalady, Joseph had been serving as the Honorary Consul of Sri Lanka for the past five years, a post created in 2013. He has an International Masters Degree in Conflictology from United Nations Institute for Training and Research. He has authored three books. In July, Shashi Tharoor MP had released his book ‘Afghanistan: Oru Apakadakaramaaya Yaathra’. He is survived by wife Manju, daughter Riya Helen and son Joseph. Chief Minister Pinarayi Vijayan has expressed his grief at the demise of Joemon. The funeral will be held at Assumption Monastery church, Neeleeswaram, near Kalady, at 3 pm on Saturday.